There were five attacks by pro-Russian militants. 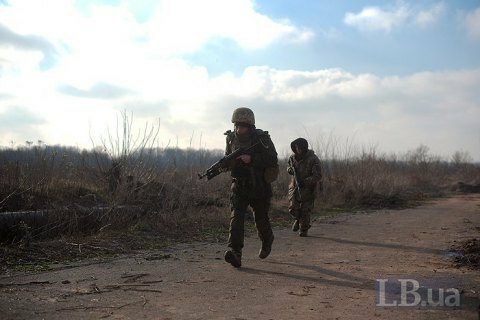 One Ukrainian serviceman was killed and one wounded in Donbas on the afternoon of 21 March, the Joint Forces Operation HQ has said on Facebook. Pro-Russian militants waged five attacks, including two with the use of heavy weapons. The militants targeted Shyrokyne, Avdiyivka, Pivdenne, Zolote-4 and Vilnyy. They used heavy machine guns, small an sniper arms, 82-mm mortars, an infantry fighting vehicle and anti-tank grenades. Three Ukrainian servicemen were wounded amid 11 attacks on 20 March.